Our Chiefs envisioned Weechi-it-te-win’s Community Care Programs (CCP) as the first step in reversing the effects of decades of interference by non-Anishinaabe child welfare authorities. It was also seen as a vital first step towards the resurgence of traditional customs and practices which form the basis of our Anishinaabe Child Care Law. 3. To ensure the growth, support, and development of all our children within Anishinaabe families and communities. The Planning Committee envisioned an all-encompassing community care program reflective of traditional child rearing practices pursuant to the traditional and customary Anishinaabe Law. The fact that the Community Care Program was and continues to be community driven and community directed is something that truly distinguishes these programs from other child welfare services in the Country. Since time immemorial, our communities had a natural, comprehensive, well developed prevention systems for child abuse and neglect. These systems were based on teachings (traditional laws). Responsibilities for child rearing were shared among many extended family and community members. This system is present within the natural world today. Children thrived under the watchful eyes of parents, grandparents, elders, and extended family while at the same time learning life and social skills that would help them to become healthy, productive and purposeful human beings. Weechi-it-te-win and the Community Care Programs have been instrumental in revitalizing preventative practices in the communities. Formal and informal prevention initiatives exist in our communities. These may be structured or non-structured and designed for the whole community, higher risk groups, or specific families in need. Until 1986, entire generations of children were removed from our communities by authorities that did not understand our culture or ways of life. Reuniting displaced children with their families and communities of origin and/or helping them to establish a link with their culture and heritage is an ongoing objective of the community care programs. 2. to keep Anishinaabe children who have been adopted outside of their community and their adoptive parents aware of their Anishinaabe heritage. The majority of our members reside outside of the First Nations, within towns or other urban centres that can be a significant distance from their home community. Our members face many challenges living in urban centres and many may not be accustomed or equipped to deal with the array of issues that can occur. Access services ensure that members of our First Nations living both on and off reserve have access to appropriate services and resources such as: intake and assessment, representation at court proceedings, referrals, advocacy and family support. 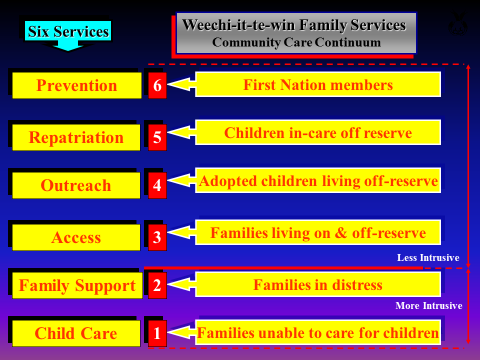 The provision of support to families at risk and/or families in crisis is the cornerstone of Weechi-it-te-win Family Services and the Community Care Programs. We believe families that are supported and encouraged will become stronger and healthier. The right to supportive services which are consistent with their culture, heritage, customs, traditions and spiritual beliefs. The services we provide for children are wholistic and extend from in-home support to out-of-home placement. Supporting children within their families and communities is of paramount concern to WFS. For this reason, emphasis is placed on the use of family and community resources that will protect children while at the same time strengthening the family and respecting their integrity as a unit. 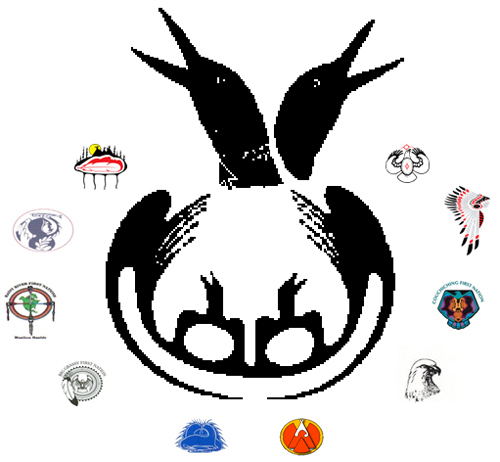 In March of 1982, the then Rainy Lake Region Tribal Area Chief’s resolved to create an "Anishinaabe Alternative" to child welfare, appointing a Native Child Welfare Planning Committee to develop a concept. 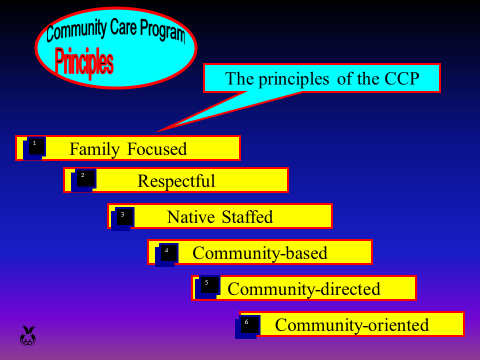 What was developed was Community Care.